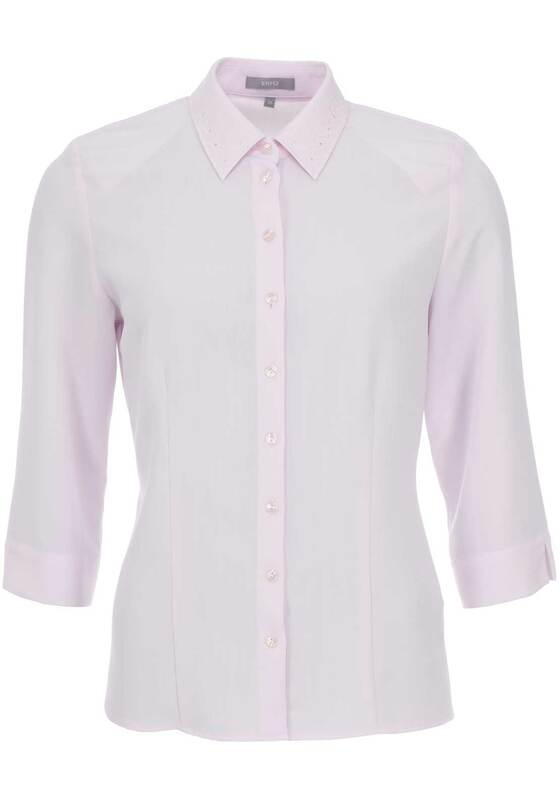 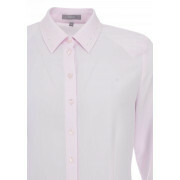 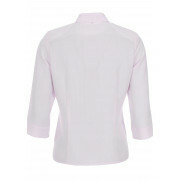 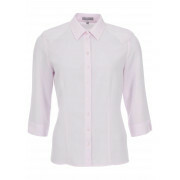 Presented in a feminine pink shade, this blouse from ERFO could be worn with skirts or trousers to create a smart outfit. 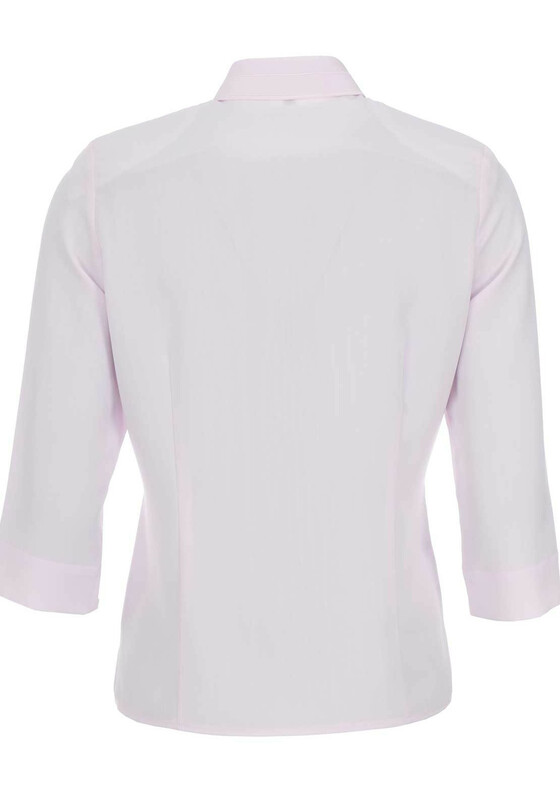 Styled with a figure skimming shape and cropped sleeves. 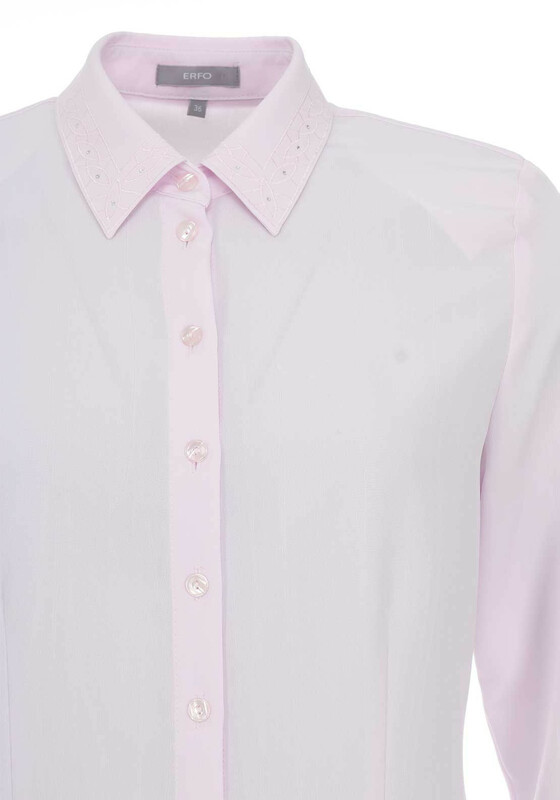 Featuring an embroidered pattern with diamante embellishment on the turn down collar. Crafted from lightweight fabric.